Fon du Lac Farm Park offers children a unique glimpse of what 1920’s farm life was like on a Central Illinois farm. Opened in 1981 the Farm Park has become a treasured destination for families with young children. Enclosed within six acres of Neumann Park, this facility offers a variety of activities that let visitors experience a day on the farm. There are live farm animals to feed, a red barn to play in, and three ponds to enjoy. 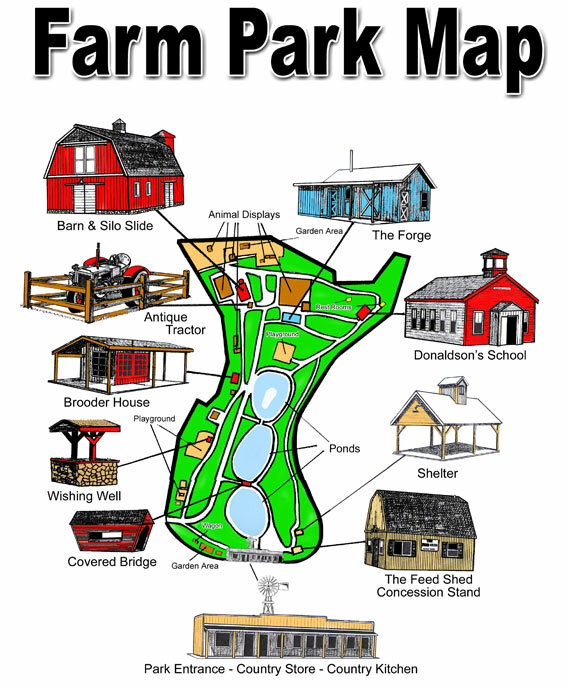 Farm Park includes a country kitchen museum, playgrounds and silo slide. Our concession stand offers a kid-approved menu at affordable prices. The gift shop is a great place to browse and purchase inexpensive, fun items. Or call (309) 699-3923 when Farm Park is closed.